We are thrilled to introduce our 2016-2017 Ramah Service Corps Fellows, David Herrera and Jacob Kaplan-Lipkin! The Ramah Service Corps (RSC) is a national Ramah initiative that extends the magic of Camp Ramah’s summer programming throughout the academic year. 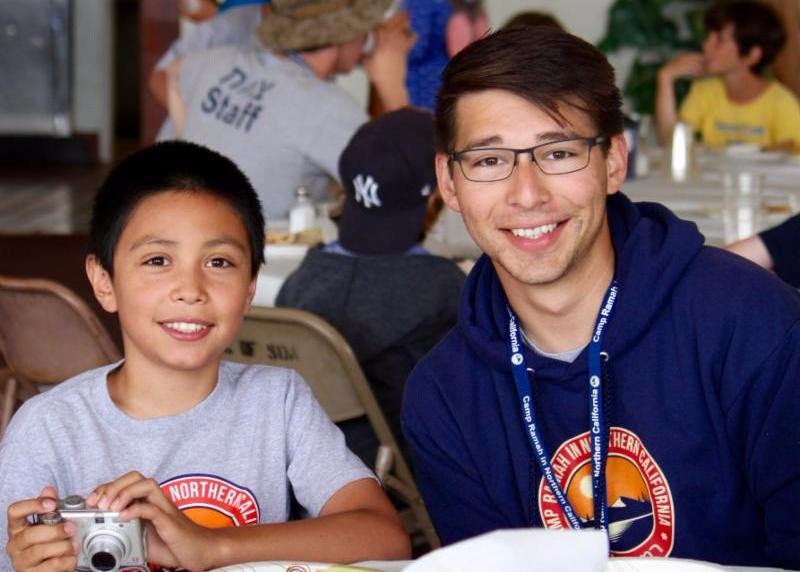 Born and raised in Northern California, David and Jacob could not be better suited to serve as local fellows and it is with great pride that we highlight them below! David Herrera will bring the contagious energy and spirit of Friday night singing at Ramah Galim to his work as a Ramah Service Corps Fellow! David grew up in the Central Valley at Congregation Beth Shalom in Modesto, CA. In high school he was active in USY, serving as the Modesto USY chapter president for three years, and the New Frontier Regional Vice President thereafter. 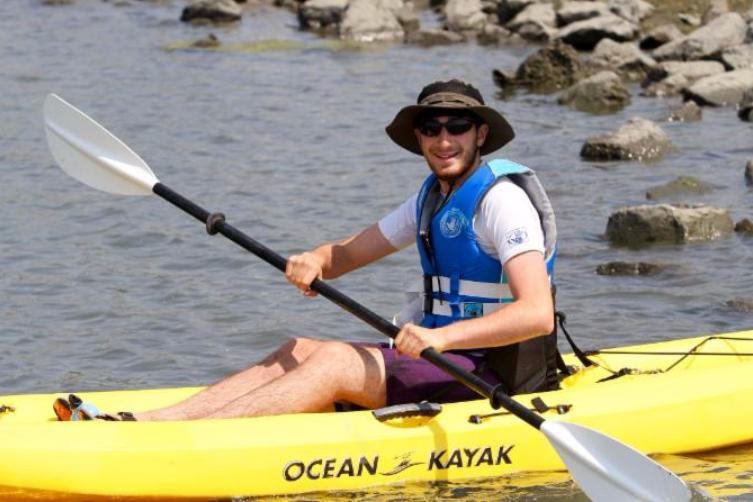 Jacob Kaplan-Lipkin was beloved this past summer as a Bogrim counselor and an Ocean Exploration Specialist. During the rest of the year, Jacob attends Stanford University, where he will be a Sophomore this fall. Jacob is currently undeclared, but is planning on a double major in Classics and Symbolic Systems. He grew up in the Bay Area and has been a lifelong member of Peninsula Sinai Congregation and a student at Wornick, Hausner, and Kehillah. Over the past few years, he has been involved with Limmud Bay Area, AJC, the David Project, and BBYO as a student leader and, previously, he worked for the North Peninsula Teen Collective and Kevah. On campus, he is involved in the Jewish and pro-Israel community, serving on the boards of the Jewish Student Association, Stanford Israel Association, and Hillel at Stanford. Jacob plans on attending rabbinical school after college and pursuing a career as a Rabbi. Jacob’s favorite part of camp is T’fillot Afloat, a Ramah Galim specialty! In his free time, he enjoys playing ultimate frisbee, discussing politics, obsessing over Marvel superheroes, and talking about camp. Jacob can’t wait to do the latter semi-professionally, and is excited to share his love of Ramah with the Bay Area Jewish community! We are thrilled to have David and Jacob join our year-round team as exemplars of the Jewish leadership development that can be fueled by a local Ramah camp, and look forward to a successful and meaningful year together! We also want to thank all former Ramah Service Corps Fellows, including our summer 2016 staff members, Zach Bell and Ilana Sanberg. To learn more about the Ramah Service Corps Fellowship, visit the website, or ask David or Jacob in person at a synagogue near you!